After declaring independence from Britain in 1776, delegates at a special Convention took up the tasks of creating a state constitution and a Declaration of Rights (DOR). As one of the first bills of rights created by the newly independent states, Virginia’s DOR was held up as a model expressing the enlightened values that were to shape the new nation. The distinguished statesman George Mason had been enlisted to draft this foundational document, and Mason did not disappoint. His draft was greeted with overwhelming praise in and outside the Convention. (1) As a result, few changes would be made to Mason’s draft, but one of these changes was prompted by the young and idealistic James Madison. Determined to set Virginia on the path toward religious liberty, Madison succeeded in altering the article concerning religious rights (Article 16). The original article promised that “all Men should enjoy the fullest Toleration in the Exercise of Religion, according to the Dictates of Conscience.” Aware of the implications of this wording, Madison vigorously objected. The word “toleration” implies a hierarchy of religions in which some groups (or only one) are privileged, while all others are merely tolerated. After several attempts, and with the help of his future nemesis Patrick Henry, Madison’s wording (“all men are equally entitled to the full and free exercise of it [religion] accordg to the dictates of Conscience”) replaced Mason’s. (2) Madison indicated that his change “declared the freedom of conscience to be a natural and absolute right.” (3) Madison’s modification had important implications for the established Church of England, which had not been not legally disestablished at the Convention of 1776. How well do these claims hold up against the evidence? 1. Did Madison believe that “a civil state had no jurisdiction in matters of organized religion”? These two individual rights, which were enshrined in the Virginia DOR, were the foundation of Madison’s case against the establishment of a tax for religion. This cannot be squared with Esbeck’s “voluntaryism” principle, which denies that the movements against establishments were about protecting individual rights. Rather than speaking about establishments in terms of the relationship between two centers of power (“government and organized religion”), (6) Madison saw all establishments of religion as a threat to the natural rights of all men. 2. Did the new clause refer to individual equality or equality “among all religions”? The problem with Esbeck’s inference is that it rests on his own assumptions about the relationship between rights and establishments, for which he has not so far found any evidence in the eighteenth-century sources. In fact, all the evidence points in a different direction. The most obvious conclusion is that some were concerned that the individual right promised in Article 16 required the disestablishment of the Church of England, something the conservative Anglicans at the Convention were unwilling to do. They must have been reassured by Patrick Henry’s statement. Henry was most certainly unaware of the implications of the clause and, therefore, honestly saw no threat to the “established church.” Madison, aware that his proposal would fail if its implications had been known, seems to have decided to remain silent on the issue. Notice that the equality of “all men” follows from the conscience of individuals. There is nothing in the passage about the equality of all religions or religious denominations. The article declares an individual right, which belongs to all equally. The “and therefore” makes it clear that the second (third if Mason’s opening clause is included) follows from the first (second). There is no way to see this as a statement about the equality of religions as opposed to the equality of individuals. This statement of individual rights would become the legal foundation of the dissenters’ case against all establishments of religion. Once again Esbeck’s version of events does not hold up. The clause unequivocally places the individual at the center of its concern. The question now becomes, as it had at the Convention, about the relationship between this right and disestablishment. 3. Was there was a “bifurcation of the protection of individual religious conscience, on the one hand, and religious disestablishment on the other”? Separating the individual right to the free exercise of religion from the issue of establishments is central to Esbeck’s project; his whole church-state theory rests on the assumption that individual rights have nothing to do with disestablishment. While it is true that states could and did grant all citizens the right to practice their religion while still maintaining an establishment, this arrangement is one of toleration and is not compatible with the religious liberty advocated by Madison and the dissenters. Maintaining establishments while granting the free exercise of religion creates a system of toleration, rather than religious freedom. Since this arrangement privileges the religious opinions of some citizens above others it is not compatible with religious liberty, which assumes individual equality. This is why, even without Madison’s “no privileges” clause, the dissenters began calling for the disestablishment of the Church of England, and all other privileging of a particular religion or denomination, on the grounds that establishments of religion are incompatible with Article 16. Esbeck’s assumption that the two issues are separate is undermined by this fact. So far there is little evidence supporting Esbeck’s voluntaryism principle. Given the minimal evidence associated with the Convention and the creation of the DOR, there is still the possibility that the dissenters advocated for a church-state arrangement along the lines of Esbeck’s principle. The real test of his claims will come with a review of the campaign against establishments that followed the enactment of the DOR. The first stage of this campaign begins with the closing of the Convention in 1776 and goes through 1779, when Jefferson attempts to pass his bill for Establishing Religious Freedom. Mason’s proposed DOR appeared in the Virginia Gazette (May 27, 1776). “Madison’s Amendments to the Declaration of Rights, [29 May-12 June 1776],” Founders Online, National Archives (last update: 2014-12-01]). Source: The Papers of James Madison, vol. 1 16 March 1751-16 December 1779, ed. William T. Hutchinson and William M.E. Rachal. Chicago: The University of Chicago Press, 1962, pp. 174-175. 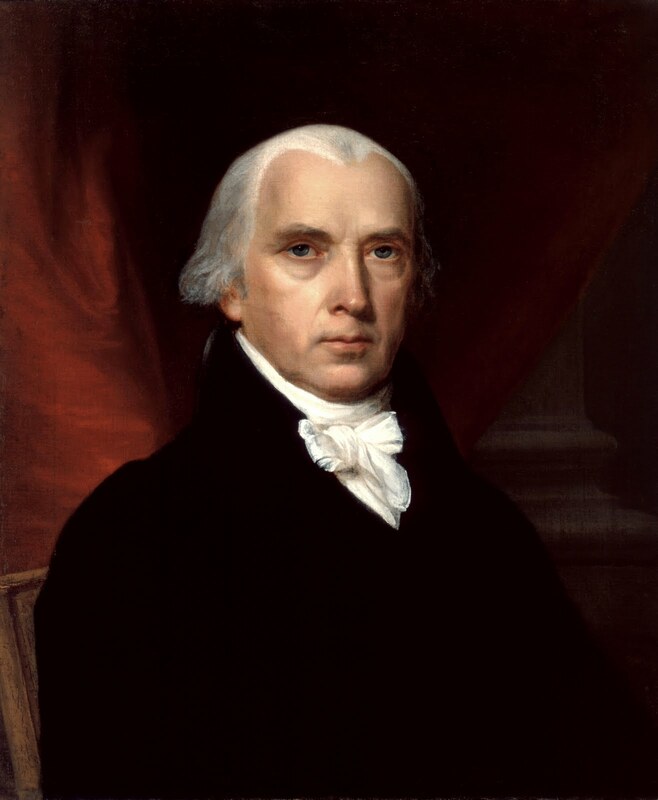 James Madison, Autobiography (December 1830) at Founders Online. “The settled opinion here is that religion is essentially distinct from Civil Govt and exempt from its cognizance; that a connection between them is injurious to both…” (Madison to Edward Everett, March 19, 1823) at Founders Online. “I observe with particular pleasure the view you have of the immunity of Religion from civil jurisdiction, in every case where it does not trespass on private rights or the public peace.” (Madison to Edward Livingston, July 10, 1822) at Founders Online. “Strongly guarded as is the separation between Religion & Govt. in the Constitution of the United States the danger of encroachment by Ecclesiastical Bodies, may be illustrated by precedents already furnished in their short history.” (Detached Memoranda, ca. 31 Jan. 1820) at Founders Online. “‘Ten-thousand name’ petition by Dissenters from whole state, for ending established church, and for institution of religious equality.” (October 16, 1776) at Library of Virginia: Digital Collection. (accessed November 2016). Since the original document is difficult to read a summary of the petition can be found in the Virginia Journal of the House of Delegates of Virginia, 1776 (Richmond: Samuel Shepherd & Co., 1828), 15. Moncure Daniel Conway, Omitted Chapters of History Disclosed in the Life and Papers of Edmund Randolph, 2d ed. (New York: G.P. Putnam’s Sons, The Knickerbocker Press, 1889), 30. The account by Randolph was written years after the event and was found among Randolph’s papers after his death. He also describes Patrick Henry as the author of the sixteenth article, which is contradictory to the majority of the evidence. “Article on Religion Adopted by Convention, [12 June 1776],” Founders Online. The Virginia Journal of the House of Delegates (1776), 7. “Madison’s Amendments to the Declaration of Rights, [29 May – 12 June, 1776]” at Founders Online.